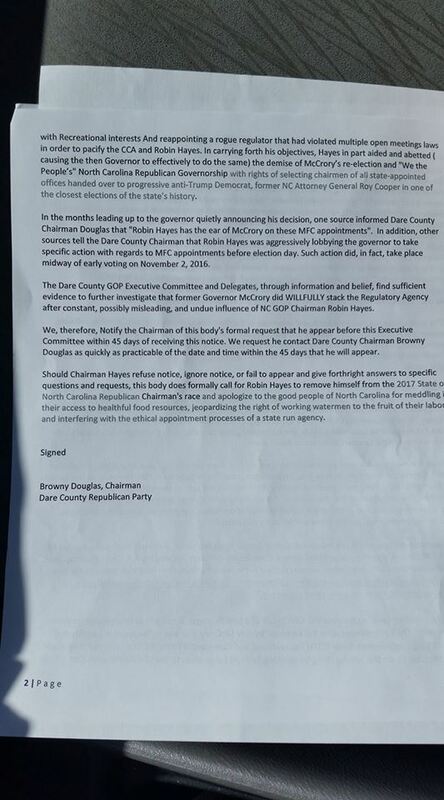 NCGOP chairman Robin Hayes’s dual roles as state party chairman AND paid flack for an environmental grouphas some grassroots Republicans demanding answers. 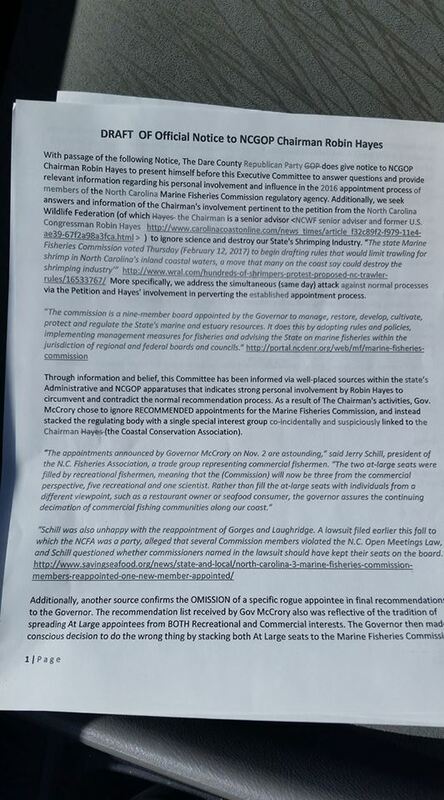 Leaders in the Dare County Republican Party are accusing Hayes of using his political influence to sabotage a key industry — commercial fishing — in the coastal North Carolina economy. THIS is one of the controversies — along with the I-77 uproar near Charlotte — that many observers believe were key to McCrory’s close loss in November to Roy Cooper.